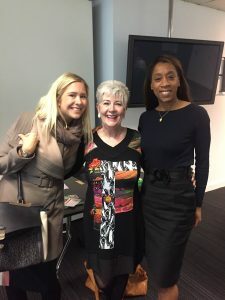 We wanted women to come together and connect with purpose at our recent Women’s Lunch event, hosted by HSBC in Spinningfields. All too often we attend network events but come away feeling empty and with few honest connections made. It’s all well and good to catch up with a contact you’ve not seen for a few months, to ask “how was the holiday?” and to comment on the latest TV show, but surely attending such events should be for a specific purpose; to further your career or to grow your business and to connect with someone of value to you – otherwise what’s the point?! After a buffet lunch and an introduction from Associate Sue Weighell, it was time for our speaker – Captain Positive aka Eilidh Milnes to enlighten the audience. A bundle of energy from the get-go and with a keen ear to recount stories swapped over arrival coffee during her interactive session, Eilidh had attendees thinking about the way we often behave on ‘auto-pilot’ and how we can fine tune ourselves to be more atuned with those that we meet. 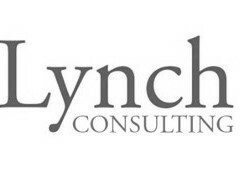 Eilidh uses a set of simple rules to follow which can be most helpful to keep in the back of your mind – amongst others, they included to be intriguing when meeting someone new and to create impact. Confidence is often the thing that people lack, so helpful tips were shared to help overcome this aspect. The ladies in the room had the opportunity to put what they had learned into practice and find out more about the people at their tables which was most enjoyable. 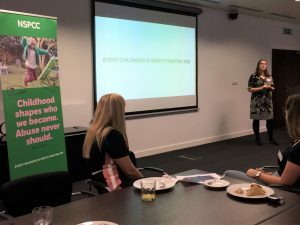 Associate Elspeth Kinder introduced Deborah Sefton of the NSPCC who spoke about the great work that the charity does every single day, including now spreading the word about their service in primary schools across the region to reach worried children from a younger age. It was an eye opener for many to learn that every 25 seconds a call is received from a child who needs a listening ear – and that each call costs £4 to answer. To put things into perspective, by simply booking on to the event and attending, each person in the room will have ‘paid’ for at least one of these calls to be answered, through the percentage donation we make from ticket sales for our Women’s Events. 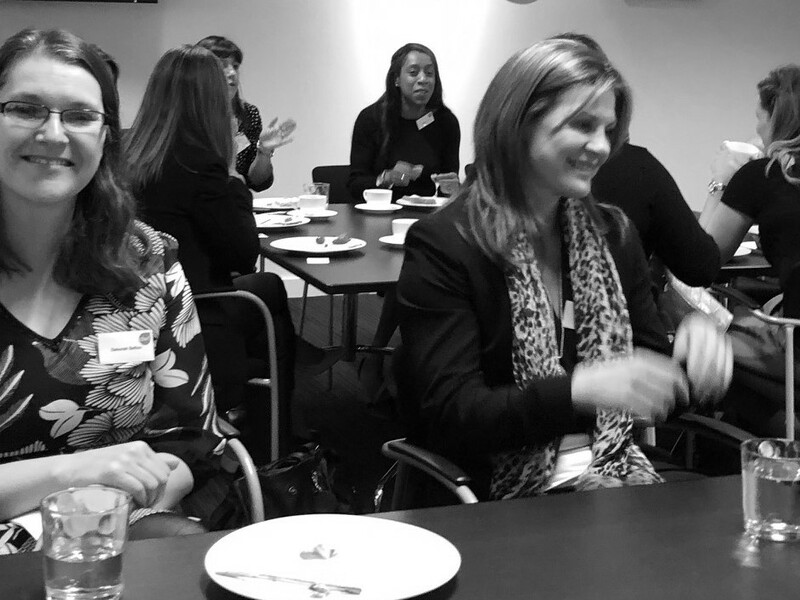 It was great to see so many ladies in attendance – including many new faces too. 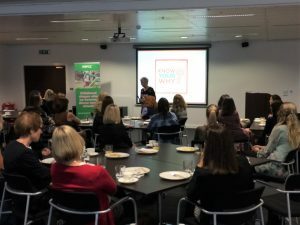 Our Women’s Lunch events are open to all women working in and around Manchester and in all walks of life. Keep an eye on our website for details of our next event and join us!